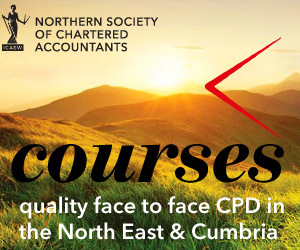 ICAEW and the Northern Society of Chartered Accountants (NorSCA) were delighted to share in the success of final year accountancy students who graduated from Northumbria University this summer. Tyne & Wear Society of Chartered Accountants’ Prize for the Best Second Year Student in Financial Management (BA Honours, Accounting). Abdul has now started training as an ICAEW Chartered Accountant, which will involve studying for the ICAEW accountancy exams and a three year programme of structured work experience. The official presentations were made at the graduation ceremony held at Northumbria University on Wednesday 10 July 2013, by Deputy President NorSCA Andrew Jackson FCA and Christopher Soan, ACA Chairman of Tyne and Wear Society of Chartered Accountants. The BA (Honours) Accounting programme at Newcastle Business School is aimed at students with an interest in pursuing a career in accountancy or related areas. It is professionally accredited and graduates from the programme have taken up training contracts with professional accountancy firms and other leading international businesses such as PwC, KPMG, EY, Deloitte, Procter and Gamble and VATEch-Reyrolle. Other graduates are employed in industry and commerce, both in the UK and overseas. Photo 1: L-R: Andrew Jackson FCA, Deputy President Northern Society of Chartered Accountants; Abdul Mohith; Jonny Hall, Associate Dean Academic, Faculty of Business and Law, Northumbria University. Photo 2: L-R: Christopher Soan ACA, Chairman of Tyne and Wear Society of Chartered Accountants; Abdul Mohith; Jonny Hall, Associate Dean Academic, Faculty of Business and Law, Northumbria University.